Launching soon page for ‘WorkWeek’ – an upcoming business software solution to help manage small service industries. I really like how Noah explains in the build notes how they averted from a modern design to seem more friendly to the target base. 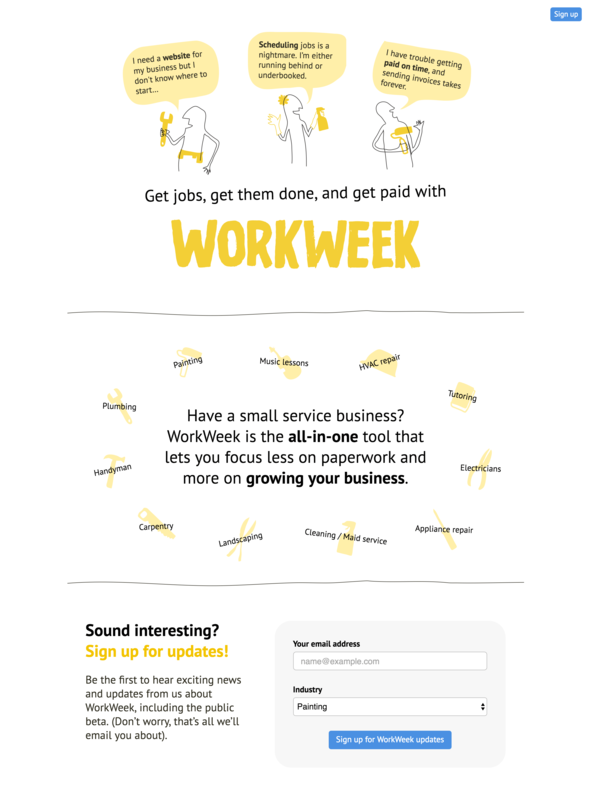 WorkWeek uses illustrations and subtle css animations to help explain how software can help small and micro sized businesses find work, get it done, and get paid for it. The illustrations make the page feel friendly and approachable – a more modern design could have felt cold to the target user base.